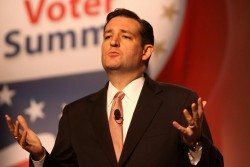 Ted Cruz has come to reverse his position on this issue roughly a year later, joining a growing group of GOP leaders who have opted to tone down the prohibitionist rhetoric. Several other Republican candidates, such as Jeb Bush, Carly Fiorina, and Rand Paul, agree that the federal government should refrain from interfering with legal marijuana markets out of respect for the decision of states to regulate marijuana. Meanwhile, some candidates are still hoping to crack down on legalization, including Chris Christie and Marco Rubio. The fact that Ted Cruz has changed his mind about legalization speaks volumes of the progress reformers are making in the United States. While only a third of self-identified Republicans believe marijuana should be legal, most Americans and young Republicans support legalization. In one year, Ted Cruz has gone from opposing to supporting states’ right to legalize marijuana. On one hand, this shows that reformers’ efforts have been successful in changing the minds of elected officials; on the other, it demonstrates how much time politicians can take in lagging behind changes in public opinion. Photo credit: Gage Skidmore via Flickr.